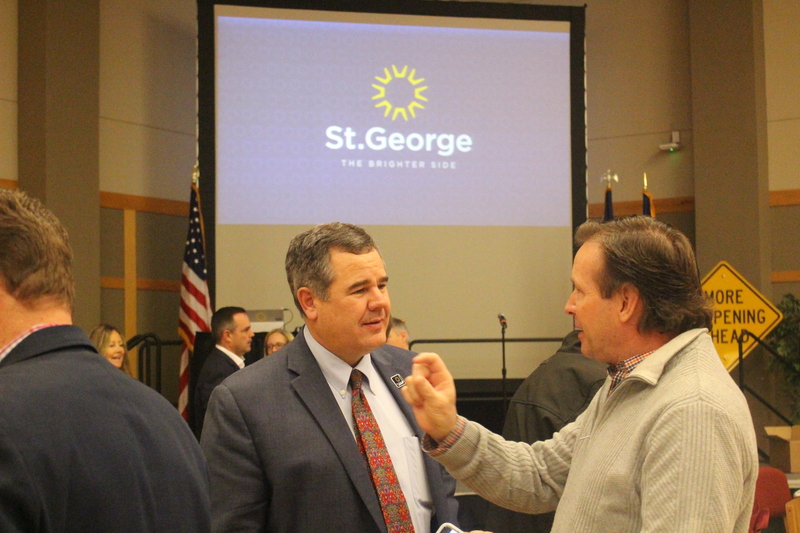 ST. GEORGE – Last year was bright and 2017 is looking brighter with continuing growth and new projects either on the horizon or underway, St. George Mayor Jon Pike said during his annual “State of the City” address Wednesday. Much of the address Pike gave before the St. George Area Chamber of Commerce focused on highlights from 2016, while also promoting endeavors related to bringing more business, particularly tech-based business, to St. George. Growth in St. George over the last year has yielded record values in development, Pike said, and is estimated to be nearly $400 million for 2016. Commercial development made up the bulk of that. By comparison, 2015 saw combined residential and commercial development with an estimated total value of $191 million. Utah’s population saw a 2.2 percent increase last year that made it the fastest growing state in the nation. Washington County also saw a jump from 2.7 percent to 3.7 percent in population growth in 2016. Job growth also jumped from around 5 percent to 7 percent, resulting in a tight labor market in the county. Additional ways the city is addressing growth is through improved public safety, conservation efforts, additional recreational facilities, as well as new and improved infrastructure. Pike also highlighted the city’s new brand – a yellow sun-like symbol against a blue background. “We worked on establishing a brand,” Pike said as he referred the audience to the new logo and slogan the city adopted in July 2016. The logo is meant to mean many things, the mayor said. Elements entwined in the logo include tourism, native American roots, pioneer heritage, community, industry, communication and a beacon of leadership. “I hope you’ll agree… ‘the brighter side’ is certainly a good tagline for the City of St. George,” Pike said. Companies that are looking at potentially relocating or establishing a presence in St. George are going to look at particular factors before they do so, Pike said, and those include the quality of transportation, education and health care in the area. Pike mentioned the completed road-widening project on a southern portion of River Road that runs by the Little Valley area, as well as the Mall Drive underpass which is slated to open Thursday morning. “We think that’s going to relieve a lot of the pressure on the roads there,” Pike said of the underpass. The adoption of the city’s active transportation plan last year was also highlighted. Completed development at Dixie State University last year included the Campus View Suites which provides additional on-campus housing. Another new building that is set for sometime in the near future is the Human Performance Center. It will serve as both a student recreational and academic facility. Legend Solar Stadium will also see the construction of new seating on its eastern side, which will increase the stadium’s seating capacity from 5,000 to 10,000. Dixie State will also see the opening of its new Innovation Plaza. Converted from the old East Elementary, it will be a place focused on entrepreneurship and patent-creation. Dixie Regional Medical Center also continues its $300 million expansion. Part of that expansion includes the construction of a cancer research center that will be the center of Intermountain Healthcare’s genomics research. 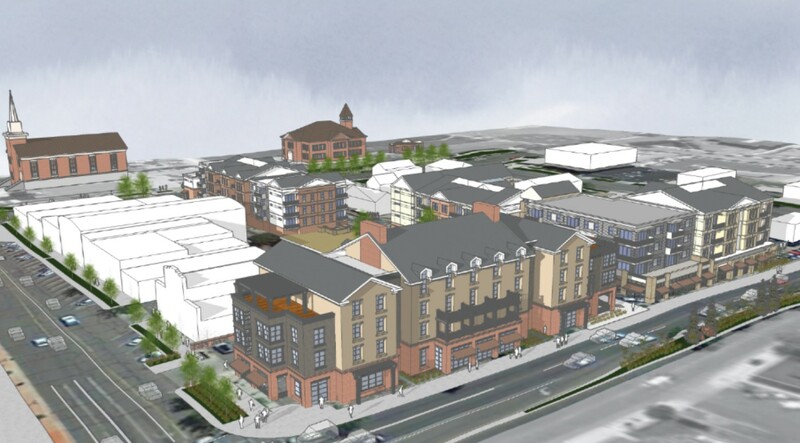 A large mixed-use, $30 million project called “City View” is also slated for downtown St. George. Nestled within a tax-incentivized development zone, the project will see the creation of three buildings hosting retail space on the first floor and apartments on upper floors, making for a total of 110 apartments overall. A 60-room boutique hotel, located on the southwest corner of Main Street, will also be part of the project. Ground is anticipated to be broken for the project in a month’s time, Pike said. One project Pike said he was particularly excited for was “Tech Ridge,” the latest name for the ridge top where the municipal airport once stood. The city is planning to create a tech and research park on the ridge top that will be anchored around the new $45 million Dixie Applied Technology College campus. The St. George City Council hired a consulting firm to help determine the type of businesses that will be best for the area and what will be feasible. Though it won’t happen overnight, Pike said, city officials hope that once enough businesses have set up shop on the ridge, it will attract other businesses as well. This could take five to 10 years, he said. “That is so much a part of our future in terms of growing our economy and raising our wages for the area,” Pike said. The city hopes to maintain a business-friendly environment that will continue to encourage the creation and expansion of new and existing businesses, while also attracting those outside of it, the mayor said. “St. George is making a lot of noise,” said Ever Gonzalez, of Outlier Magazine, adding that companies from St. George are getting noticed by others from northern Utah and Las Vegas to Los Angeles.